Neva M. Nicholson age 88 of Carthage, Missouri passed away on Friday, July 20, 2018 at Mercy Hospital in Joplin. She was born near Carthage, Missouri to George W. Hill and Anna Belle (Swearingen) Hill on October 19, 1929. 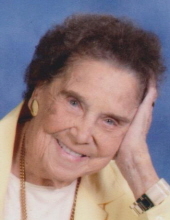 She was a member of the First United Methodist Church in Carthage and was owner of the Nicholson’s Restaurant. Neva was preceded in death by Carl C. Nicholson, J.D. Brown, and a son, David Reynolds. She is survived by her daughters, Ann Easton of Carthage, Terri Reed of Carthage, Sandy Reynolds of Webb City; sons, Ken Burleson and his wife Tish of Pittsburg, Kansas, Mike Burleson and his wife Cheryl of Webb City; 9 grandchildren and several great grandchildren. The family will be present for visitation on Tuesday, July 24, 2018 from 1:00 P.M. until the time of service. Funeral services will be held on Tuesday at 2:00 PM in the Simpson Funeral Home chapel in Webb City with James R. Lee officiating. Burial will follow in Oak Hill Cemetery in Carthage. Services are under the direction of Simpson Funeral Home in Webb City. Visit www.simpsonfh.com for online condolences. To send flowers or a remembrance gift to the family of Neva M. Nicholson, please visit our Tribute Store. "Email Address" would like to share the life celebration of Neva M. Nicholson. Click on the "link" to go to share a favorite memory or leave a condolence message for the family.